Understanding land-use/cover change (LUCC) and groundwater resources is important for land-use planning and natural resource management. The development of agriculture has encouraged farmers in the Khanmirza plain in Iran to increase the number of agricultural wells and irrigated land over the past three decades. This has caused a continual decrease in groundwater level which threatens life in the groundwater aquifer reservoir. 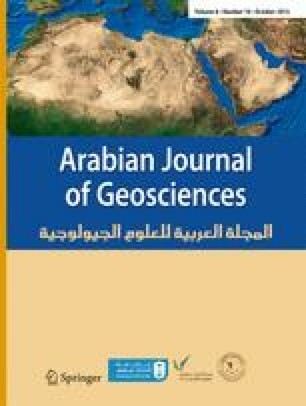 The present study used integrated spatiotemporal analysis to monitor changes in groundwater quantity and LUCC for sustainable resource management in Khanmirza plain. LUCCs were extracted using Landsat TM data, and groundwater quantity changes were generated for the piezometric and agricultural wells. The periods of analysis were 1987–2000, 2000–2010, and 1987–2010. Decision tree classification, ancillary data, and post-classification comparison processing was used to classify the images and LUCCs. Results showed that irrigated land increased by approximately 1350 ha and agricultural landscapes trended toward integrated land between 1987 and 2000. The most remarkable change occurred between 2000 and 2010, when the total irrigated land decreased gradually to about 1126 ha and rain-fed agriculture increased. The sharp drop in groundwater of from 7.17 to 39.1 m in this region decreased available meadow land to 1000 ha between 1987 and 2010, which decreased the area of potential agricultural land. Consequently, fragmentation of land use occurred throughout the period. These changes have produced devastating effects on different parts of the study area. The authors would like to express their gratitude to the Iranian Space Agency for providing satellite images of study area. Acknowledgment is further extended to the technical experts of the Regional Water Company of Chaharmahal-Bakhtiary Province for providing data and technical assistance.